Wahib and Schuler ... optimistic. Sika Arabia, a leading manufacturer of admixtures, is hopeful of accelerated growth, given the pace of project development in the GCC and is looking to set up additional production facilities in the region. Swiss construction materials group Sika opened its first GCC admixtures and mortar factory in Bahrain 20 years ago, in a joint venture partnership with Saudi Sumam Chemicals. Sika Arabia has since grown impressively, with subsidiaries in each of the six GCC states and manufacturing plants in Bahrain, Rabigh (Saudi Arabia) and Dubai (UAE). Today, the company is the Middle East and Africa’s biggest construction chemicals producer, with net sales and profits having grown by 25 per cent per year on average in the last two decades. It specialises in cement technology, concrete refurbishment, concrete technology, distribution, elastic bonding, flooring and coating, joint sealing, roofing, structural strengthening, tiling systems and waterproofing. Ashraf Wahib, area manager GCC, told Gulf Construction that, despite the prevailing regional economic challenges, the company remains optimistic. Wahib pointed out that as GCC governments prioritise social development schemes such as affordable housing, schools and hospitals, new channels of opportunity will open up. “In addition to sophisticated infrastructure projects, Sika is ready to support government and private investment schemes. In Saudi Arabia, for example, the government announced its 2030 vision earlier this year and we are ready to serve the investors working on that,” he added. Paul Schuler, regional manager EMEA (Europe, Middle East and Africa), was similarly optimistic. “As a group, we believe we can continue to achieve six to eight per cent (annual) growth as we have done in the last 10 years. And given the pace of project development in the GCC, I would expect to exceed that growth rate in this region,” he said. To maintain strong growth rates, Sika Arabia – the holding company of the six GCC subsidiaries – has ambitious expansion plans, including new factories and boosting its 300-strong regional workforce. Currently, in addition to the Bahrain plant, the Rabigh facility can produce liquid admixtures and cementitious dry mortar products. Sika UAE, meanwhile, produces concrete admixtures, additives and compounds at Dubai Investments Park (DIP), and in 2015 it opened a new manufacturing facility to serve the growing demand in the Southern Gulf region for building adhesives, high-performance grouts and repair mortars. Wahib confirmed the company would open a new facility at DIC in the third quarter of 2017 which would meet the anticipated demand for construction chemicals in the run up to Expo 2020 Dubai, while also serving oil and gas industries in Abu Dhabi. 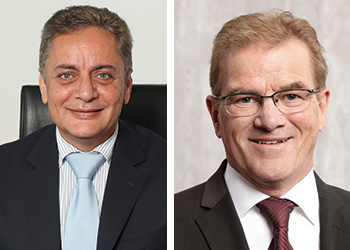 Schuler added Sika was also looking to either acquire or build its own manufacturing facility in Dammam, Saudi Arabia, while new small-scale admixtures plants are on the radar in Qatar and Oman. Currently, Sika employes some 1,200 people in research and development (R&D) globally to drive the innovation which underpins the Sika brand reputation. In the Middle East, a team of 40 innovators are responsible for getting cutting-edge technologies to market, and Schuler said this local intellectual capital gives the company a crucial edge over its competitors. That is vital in the GCC market, which Sika chairman Paul Haelg recently described as “among the most difficult in which we operate”. But to replicate the success of its first 20 years in the GCC, Sika will, insisted Wahib, stick to the same guiding principle – building trust – as it moves forward.